“Mykonos is an island made from gods, for the people.” - A famous person once said! Mykonos is: sea full of iodine, a caress, transparent sky, perpetual motion, light, carved rock, a symphony between blue and white, a refreshing saltiness, enjoyment, lime scent, hospitality, entertainment, a new surprise in every single moment, enviable harmony, truth, unforgettable love, scherzo, imposing charm, unique sense. An endless and “real fairytale” unrolls around you, with each spin of it being unique, separate, tempting you to live it, taste it, and enjoy it until its last moment. A small island though, rather sterile, dry, the sun burns, but also so endowed with golden beaches, magical nights, crystal clear sea, smart and pleasant people, and culture of several centuries. The predominant color of both old and new buildings, the “stone fish” and the surrounding low mountains, the touch of wind, the smells, the conversations, are characteristics that remain indelible in your memory. Nature elements make their presence here in a quite intense way, awakening and filling you with new sensations: the wind, the sun, the moon, the deep sea, things that are accompanying the beauty of the island creating the unique character that exists for centuries. 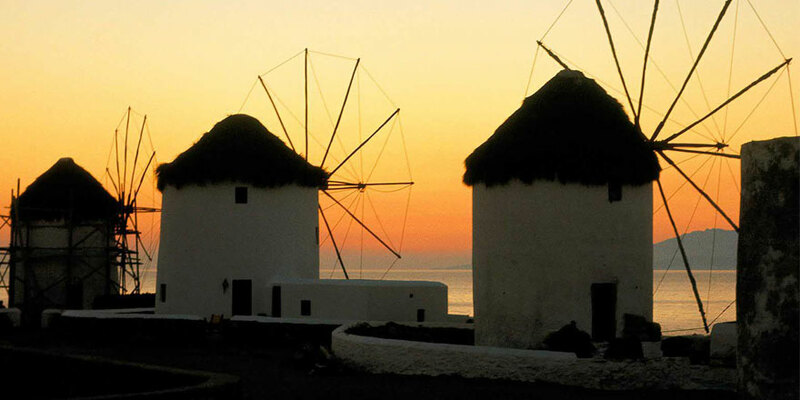 The harmony of Mykonos’ architecture is another point worthy of admiration. 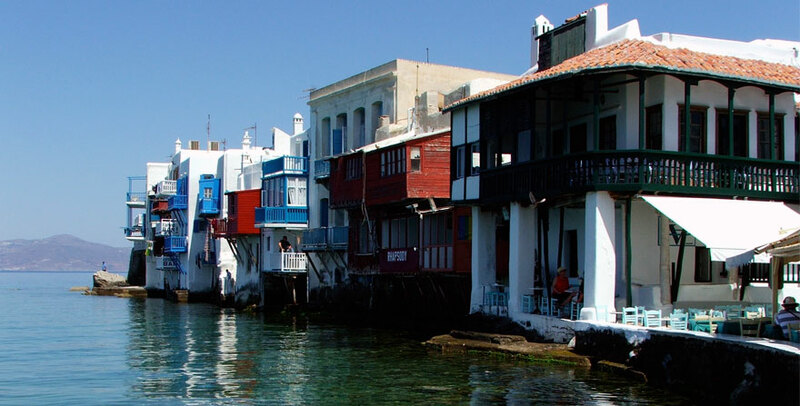 The position and the way Mykonos’ center town has been built , in “the eye of the North”, the old port, namely colors wisely spread, this strong-smelling history everywhere, doing everything together a true masterpiece! No man alone and no thoughtful plan could not build something so unique. The feeling of losing your way briefly in the alleys of the country is exciting. Your day’s last choice after all the “wandering” in the alleys, will be Gialos, with a glass of ouzo, all kinds of people, and a terrific view of the colorful boats and tame pelicans. While you are walking in the alleys of Mykonos, you think you know every single person... they are always waving at you even if they know you or not! You feel as if you have grown up in this neighborhood. Everything is so simple and familiar to you! An atmosphere of warmth and relaxation ready to wrap you in its hug, a kind of magic that words are not capable to describe, things that you felt here and will forever be carried in your heart. That’s why you choose to come to Mykonos!